The Foreign Exchange market, also called FOREX or FX, is the global currency trading market. With a daily volume of more than $3 trillion, it is the biggest and most dynamic market in the world. FOREX is simple. Whether you sell EUR 100 to buy US dollars at the airport or a bank exchanges 100 million US dollars for Japanese Yens with another bank, both of these are FOREX deals. The players on the FOREX market range from huge financial organizations, managing billions, to individuals trading a few hundred dollars. The volume, the dynamics and the opportunities on the FOREX market are huge. Some say that it’s the closest thing to a Perfect Market: all of the traders – from individuals to big banks – trade at the same terms, have access to the same information and the market provides unlimited liquidity – you can always buy and sell, and there is no entry barrier. The exchange rates change almost every second so there’s a lot of action going on 24 hours a day, 5 days a week. 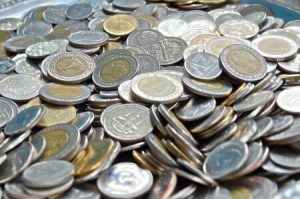 In general, the currency exchange rates reflect the health of countries’ economies. If Europe’s economy is going better than the US economy, the euro will go up compared to the dollar (EUR/USD ↑) and vice-versa. Before buying a single currency you need a forex broker. Trading with a Demo account is advised for novice traders. You can sign up for a demo account at Plus500 or Easy-Forex. Both are very good brokers. 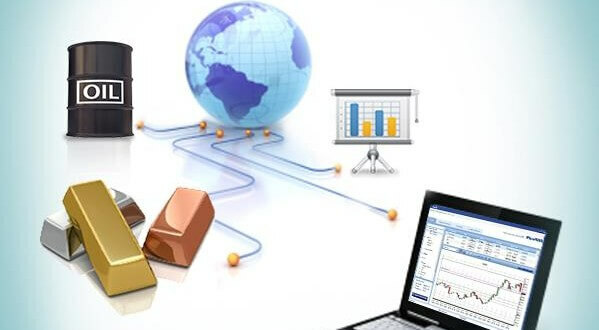 The difference is that Plus500 is also a broker for commodities, shares, indices and more where Easy-Forex is only offering to trade forex pairs. Easy-Forex is specialized in that and offer great tools like Meta Trader 4. Forex binary options trading can be done with Magnum Options or 24Option. For more information please cheak our online stock broker review. Here’s an example of a FOREX trade. You decide to buy 1 000 euros against US dollars. The EUR/USD exchange rate at which you can BUY at this moment is 1.4500 so you pay $1450. 10 days later the EUR/USD exchange rate at which you can SELL euros for US dollars is 1.5500. You sell your €1000 and get $1550. Having started with $1450, you now have $1550 – you’ve made a profit of $100. That’s how money is made on the FOREX market. In practice, this operation will take you only a few clicks. If you look at the FOREX quotes on your trading platform you will see that there are 2 prices for each currency pair. One is the price at which you can buy, referred to as the “ask price”, and the other is the price at which you can sell, referred to as the “bid price”. The difference between those two prices is known as the spread. The ask price is always higher than the bid price. That’s how the FOREX brokers make their money – from the spread for each trade. Or how to trade with 100 times more money than you have! Here’s one of the coolest things about FOREX trading: if your FOREX broker offers you a leverage of 1:100, you can trade with 100 times more money than your deposit. This means that if you want to buy 100 000 EUR/USD you only need to have EUR 1 000. You obtain the rest of the money as a loan from your broker for this trade. Thanks to the leverage you can control 100 times more money than you have, resulting in 100 times bigger profits. Of course the loss could be also 100 times bigger so you have to be careful. Simply said, the leverage multiplies the result of your trades by 100. The money that you put into your trading account is called the “Margin” and serves as a deposit to cover an eventual loss. While your potential profit in a leveraged trade is unlimited, your potential loss is limited to your margin so you will never get into a situation where your account has negative balance and you get into debt. To start please get a free Demo account and log in. Then pick a currency pair (e.g. EUR/USD), choose a quantity and press the BUY button. Now you are in the game! A game played by millions of people all around the globe. You will earn money if the EUR/USD price goes up. 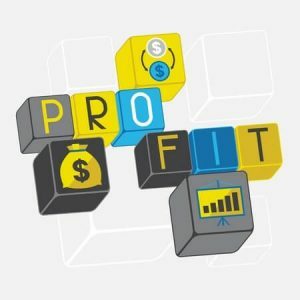 Check out your current profit in the Open positions window. You can keep this position as long as you like. And if you think that you have earned enough, just close your trade by pressing the X button in the Open Positions window. 1. You expect that the EUR/USD will go down in the next few days. Your position in EUR/USD at the moment is 0. 2. You SELL 100 000 EUR/USD at 1.4300. Your position is short – 100 000 EUR/USD at 1.4300. 3. A few days later you BUY 100 000 EUR/USD at 1.4200. Your position becomes 0 again and you have added USD 1 000 profit to your account. Please remember that profits and losses are always calculated in the second currency of the currency pair. In this example your profit is in US Dollars. You expect that the EUR/USD will go down in the next few days. The currency market /FOREX/ works 24 hours 5 days a week. We don’t expect that you will monitor the prices during all of that time in order to make a deal. You can make lots of deals without being in front of your computer. How? Using pending orders. Just tell us if you want to BUY or SELL and the price at which you want to do it and the platform will automatically make the deal for you when this price is hit. You can close your open trades using pending orders. Try it yourself – click on the EUR/USD position that you first opened. It is in the Open Positions window. A pending order will appear. Just type your exit price and click on Confirm. Pending orders that will close your position on profit are called Limits. The ones that prevent you from losing more money and close your position on a certain loss are called Stops. If you want to place both a Stop and a Limit on an existing position then you should use an OCO order /One cancels the other/. Now you know how to BUY and SELL at Market prices and how to place pending orders. That’s all a beginner should know. If you like it so far you may continue by educating yourself on how to predict the future movements of the market. Read through everything in our section Learn To Trade. What is Auto Close and how can we use it? With the Auto Close feature you can make a market order, which will be automatically closed at a level you have pre-determined. You can set this level both as a market price, and as a money value – in other words, you can have the Auto Close fill your order when either at price X, or when you have earned $ X from the transaction (this value will be in your account currency). It’s a feature of market orders and lets you set the market price, at which the system would close your position. You can’t place a pending order and a market order with an Auto Close for the same trading instrument simultaneously. With Auto Close, partial order fill is not possible. The money value you have registered at the time of closing the position is displayed in your account currency. Always have a trading plan with an entry and exit strategy. When you open a position, stick to your trading plan and don’t let your emotions change your mind. Do not open positions using all the money in your account. This will put your account at a great risk. We advise you to invest up to 5% of your money in one deal. Do not invest again in your losing positions. It is always better to keep your winning positions longer and to close your losing positions earlier. Use Stop Loss Orders for your open positions. This will keep your risk under control and will free your mind for new opportunities. Your goal is to trade with the trend. Do not try to catch the highest or the lowest price of the movement. Do not bet against the market, because the market is always right. Successful traders usually BUY on bad news and SELL on good news. Do not try to close every trade on profit. This is impossible. Try to keep positive balance between your winning and losing trades. When you want to make a short-term speculation, always keep an eye on the long-term trend. We advise you to trade only when the short-term trend is the same as the long-term trend. Always improve your trading. You can do that by reviewing your trades. Find out your mistakes and avoid them in the future. Technical analysis is one way investors try to anticipate the price movement of a country’s currency. Technical analysis offers investors several different approaches to trading. Fibonacci analysis and the Elliott Waves theory, for example, go back to the DOW theory that markets move in a predictable way, in patterns. Technical analysis focuses on reading chart patterns and believes that past price activities are going to repeat themselves. Technical analysts completely ignore all of the fundamental information and focus strictly on price charts. Technicians search for special patterns, such as the well-known head and shoulders or double top reversal patterns, study indicators such as moving averages, and look for forms such as lines of support or resistance, channels, and more obscure formations such as flags or pennants. Double tops and double bottoms are a way to look at charts. A double bottom can be recognized as the letter W on a chart. In theory, the currency will not fall below the two lowest points of the W.
Double bottom marks the price where the currency will stop falling and move higher once it reaches the support level. A double top represents what is called the resistance level that the currency may not rise above. It looks like the letter M.
Once the W is formed investors typically buy; when the letter M is formed they typically sell. Why does technical analysis work? If enough people are drawing the same trend line, if enough people are focusing on the same support level, there is going to be a reaction when that support level is reached. In conclusion we could say that technical analysis works because the number of people following it make it a self-fulfilling prophecy of trading. Many FOREX traders use the ancient art of candlestick analysis. Candles give investors a quick view of the market actions for a day, week, month or a year. This technique dates back to the seventeenth century, when Japanese traders used this method to trade rice. Today candles are used to set up trades and spot trend reversals, but first you will need to know how to interpret them. In order to create a candlestick chart, you must have a data set that contains open, high, low and close values for each time period you want to display. The long thin lines above and below the body of the candle are the wicks (also called shadows or tails). The body of the candle represents the range between the opening and the closing prices. The colour of the body defines whether it was an up or a down period. In our charts we use green and red candlesticks. A long green candle represents a bullish pattern, an uptrend. This shows that the closing price was much higher than the opening one and there was a lot of buying pressure. A long red candle is a bearish pattern and it signals a downtrend. This is when the closing price is significantly lower then the opening one and sellers were aggressive. Generally speaking, the longer the body is, the more intense the buying or selling pressure. Conversely, short candlesticks indicate little price movement and represent consolidation. And watch out for the Doji, this powerful candlestick pattern appears when the opening and closing prices are the same. The length of the upper and lower shadows can vary and the resulting candlestick looks like a cross, inverted cross or plus sign. Alone, doji are neutral patterns. They show that neither bulls nor bears were able to gain control and a turning point could be developing. The relevance of a doji depends on the preceding trend or preceding candlesticks. After an advance, or long green candlestick, a doji signals that the buying pressure is starting to weaken. After a decline, or long red candlestick, a doji signals that selling pressure is starting to diminish. Doji indicates that the forces of supply and demand are becoming more evenly matched and a change in trend may be near. Doji alone are not enough to mark a reversal and further confirmation may be needed. Candlesticks provide unique visual cues that make reading price action easier. Japanese Candlestick Charts allow speculators to better comprehend market sentiment, offering a greater depth of information than traditional bar charts. Analyzing forex prices and reading chart patterns can help FOREX traders to better predict where prices may be headed in the future. Following trends in the FOREX markets is a popular strategy. Trends last for a very long time in the currency markets. In fact they can last for years. It is possible to make money trying to pick tops and bottoms on a very short-term basis, but you will probably make a lot more money and save a lot of headache and stress, if you just follow the trends. How to draw a trend line in forex chart? You need two points to make the line and then, once it is touched the third time you will have a trend line. When referring to FOREX trends it is important to realize, that you are trading currencies of different countries. Countries get progressively better or progressively worse; they do not get better, worse, better, worse. That is why trends usually last for a very long time. Traders say that the trend is your friend. Yes, the trend is your friend until the trend is over. FOREX markets are such high level leverage markets that when the trend turns it turns very quickly. How to use Simple Moving Averages? How can I calculate a SMA? You just add up a certain number of closing prices and divide the sum by that number. If you do that on a rolling basis, you will create a Simple Moving Average. You can use that average to generate BUY and SELL signals. See how! The great thing about moving averages is that there is absolutely no argument for interpretation. This is because the price is either above or below the moving average. You cannot argue that. FOREX traders often use SMAs along with the Momentum indicator to determine when to buy or sell currency pairs. The key Fibonacci ratio of 61.8% – also referred to as “the golden ratio” – is found by dividing one number in the series by the number that follows it. For example: 21/34 = 0.6176. Price tends to retrace 38.20% to 61.80% of the prior move before continuing in the same direction. For reasons that are unclear, these ratios seem to play an important role in the market, just as they do in nature, and can be used to determine critical points that cause an instrument’s price to reverse. The Elliott Wave Principle is a popular technical tool used by FOREX traders to forecast where prices might head in the future. Ralph Nelson Elliott discovered this wave pattern secret in the 1930s. Since patterns do not just come from anywhere, or from out of space, but result from all the interactions of traders, buying and selling, you see the same patterns over and over again. This indicates that human behaviour is repetitive. Elliott’s repetitive wave sequence reflects these human emotions in the marketplace. These patterns are defined by five and three wave movements. Five waves are with the trend, and three waves are against the trend. The five waves that move within the direction of the main trend are called Impulsive waves. They are identified by numbers on the chart. The three waves are the Corrective waves that move against the trend. The three wave corrective sequence is recognized by letters. Once the five and three wave moves complete the cycle, the sequence continues as you can go down into smaller and smaller degrees of the trend. Within the dominant trend, waves 1, 3, and 5 are “motive” waves, and each motive wave itself subdivides into five waves. Waves 2 and 4 are “corrective” waves, and subdivide into three waves. In a bear market the dominant trend is downward, so the pattern is reversed—five waves down and three up. Motive waves always move with the trend, while corrective waves move in opposition to it. Among market technicians, wave analysis is widely accepted as a component of their trade. To use it in everyday trading you will need to be able to identify series of wave patterns.